Alter Markt, Bielefeld, Germany – 22 December 2010. I visited my friends in Bielefeld, where I was met with not just a mere flurry, but heavy snowfall. This was the kind of snowfall which let you know in no uncertain terms it was sticking around for awhile. There was heavy snow when I arrived the first day, heavy snowfall within the city the following day, and more heavy snow to mark my departure from the city the day after. Snow and sparkly colour-lights made for a good combination; snowfall magically let up at night when I made these photographs of the Christmas market in the centre of town. 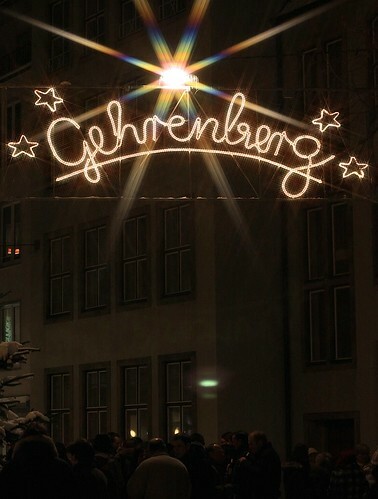 Adding copious amounts of Glühwein led to a journey of Christmas bliss … as far as I can remember. The light shines down on Gehrenberg. 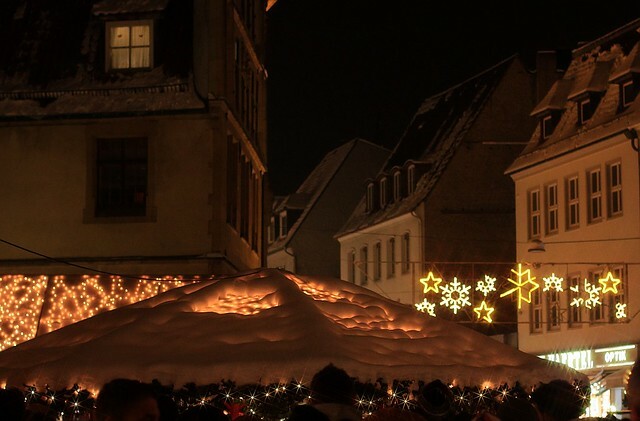 Under these tents lie liquid gold, and by liquid gold, I mean “Glühwein”. 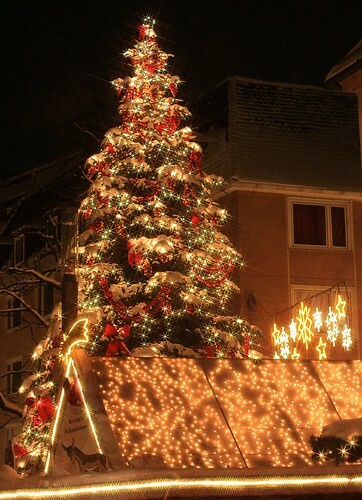 I made the three photos above in Bielefeld on 22 December 2010. This post was published originally on Fotoeins Fotopress (fotoeins.com).